I'm not really the type to decorate for specific holidays, but rather the season. I love pumpkins, I love the warm and rich tones that Fall offers and I especially love the decor. I scoured Pinterest for Fall decor ideas, without looking too over done and then went forward with decorating this past weekend!! I wanted it to just carry over into the cozy theme of the season! 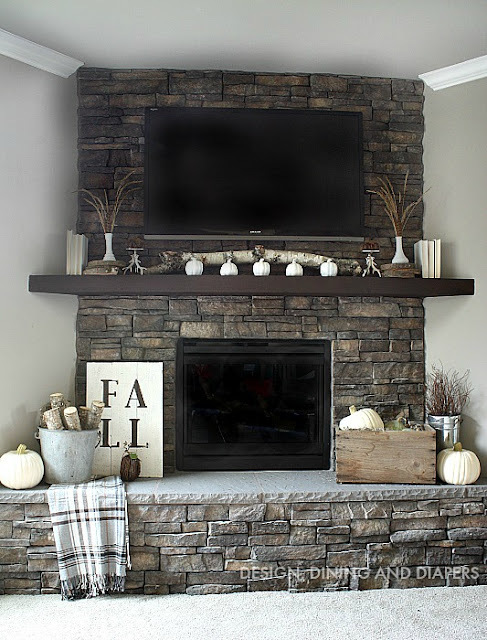 via I tried to incorporate a few Fall touches around our living room - since that is the space we spend the most time in! All that's missing is a cozy blanket - but that's on the list! I picked up the acorn vase filler from Target's dollar spot and the scented candle is a new addition from Primark - I literally have their candles all over our place! I couldn't wait to get my hands on this glam pumpkin again from Target- does it not remind you of the Valentino Rock Stud purses and heels?! You already saw the fun plaid espresso cups and saucers in yesterday's post but I also picked up some cute hand towels just to have around the kitchen. //And finally my coffee table book obsession is back in high gear and I've got my eye on this Camille Styles entertaining book! Do you like to decorate for the seasons? What's on your Fall decor wish list? I think I love that studded pumpkin as much as I love the shoes!!! Total amazing Target find!!!! Looks super classy yet edgy!! You found some great lil festive touches!! I hope you have a terrific day!! That pumpkin is so glam!! I love decorating for fall...everything about it is so cozy. And I am loving all your inspiration pins!! So classic! The thing I love most about the decor that you showed here is that it's all subtle. So it doesn't have to look like Fall exploded in your place to have that cozy Fall feel. 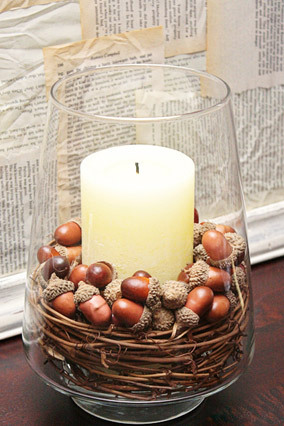 The second picture is my favorite and I love the idea of adding acorns to candles/holders! I loveee all the inspiration you're pulling from! 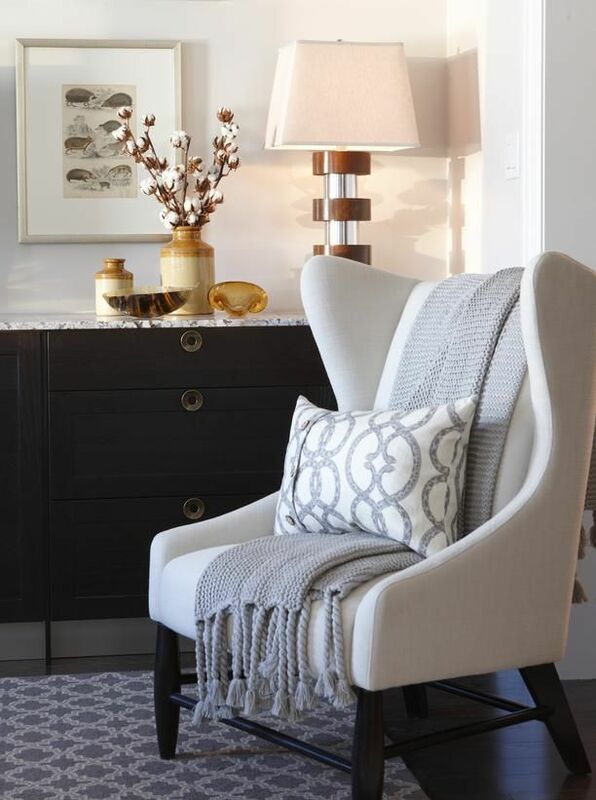 Such simple yet elegant pieces that just make the rooms so comfy & cozy! I can't wait to get moved into a new place and have some cold weather so I can get decorations going! Love all the inspiration ! Thanks for sharing. I'm a huge fan of decorating for the seasons and holidays ! It's always fun to see what other people like ! Love these minimalist fall decor ideas! White pumpkins have become an absolute fave for this time of year. Great inspiration Biana! Up on those little white pumpkins at the grocery store! I stock up on the white pumpkins too! Not too big on the black and orange, so I’m with you on the easy, minimalist fall decor! loving all of the style inspo!!! There really is something about fall that makes you want to buy all the pumpkins and decorate your house! I love the acorn vase filler! It's the perfect little touch for any space! Omg love all of this! As I told you yesterday I have been obsessed with fall decoring up my house haha! 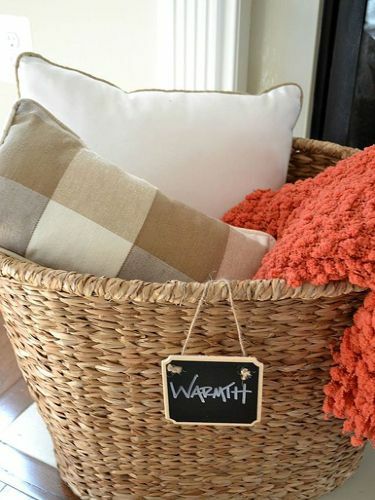 Love that warmth basket and your pumpkin is the cutest! still eyeing those espresso cups! and that holder is just the cutest. that spiked pumpkin needs to be in my apartment too! loving your picks girl! Oooooooh I'm so excited to start fall decorating! So many fun things. I know I'm going to pick up some white pumpkins – my favorite! Totally swooning over your decor!! That glam pumpkin is everything! I think decorating for the season is so much more fun than just for specific holidays, the exception is Christmas I tend to go overboard when it comes to that lol! I wish my Target had that glam pumpkin! It's the best accessory for the Fall! LOVE! fall is one of my favorite seasons to decorate for!!! fall is my fave season and my bday is in fewer than 2 weeks! love. Target was on point this season with all their decor! I purchased an amazing cable knit blanket and a few rolls of those black and gold polka dot pumpkins! I love how warm and cozy our apartment feels! 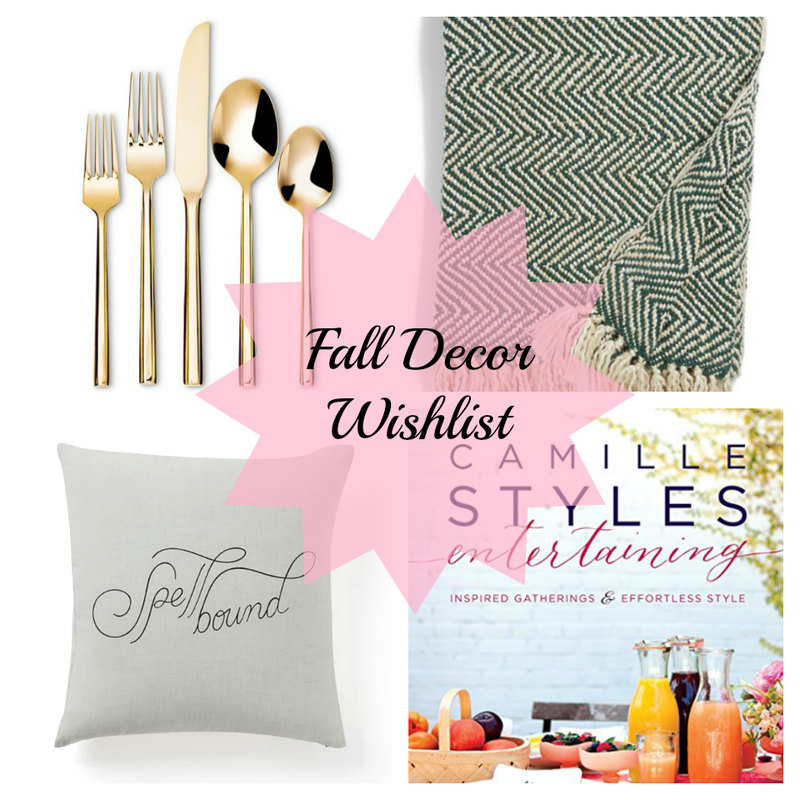 Your decor picks are ace- and I NEED that spiked pumpkin from Target! Like, immediately. That pumpkin! So cute! don't you just love Target, I could spend hours in there buying everything I don't need. I full out decorated for fall last week, and let me tell you... Enjoy those candles on the coffee table while you can! I had to get super creative in putting everything up high enough so my toddler couldn't get it. I have NO idea what I'm going to do for Christmas... How will we have a tree? Ahhhh, decorating struggles! Love this fall inspiration!! A rockstud pumpkin is just the best!! Love! I stick to neutrals in every season. There are still some adorable decorations without filling the house with orange. Love all of your picks, everything is so clean and sophisticated. You have such a beautiful decor eye. 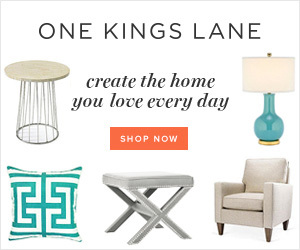 Love that gold flatware set and pillow, I think those are a definite must buy for you! I love it ALL! White pumpkins just make me happy, but I do need to make an exception for that fabulous Target pumpkin :) I'm stopping by there today and can't wait! I love all the rustic decor! I'm much more into those accents than orange and black everywhere! Love your inspiration and style! Yes, so similar!! Decorating for the season is so much better and more beneficial. Love those cute little hand towels you picked up! Love your touches so much. I really need to step up my decorating game. I love the white and light neutral tones for Fall - so pretty! So cute! I love the print on the hand towels. And the white pumpkins. And the cotton picture. And the acorn bowls. Ha, I love lots of things happening in this post! fun inspiration! fall time is the best! so cozy and awesome! I love everything. I love fall decor. I have a few pumpkins around my house as well as pumpkin cupcake candles. Love the idea of putting acorns in a jar with a candle! I love just classic fall decorations like these - you can carry all through Thanksgiving. I want gold flatware so bad! Definitely top of my decor list! And I love Taryn's house. She lives close to us. I need to become BFFs with her and maybe she'll pass me some of her hand me down decor items. 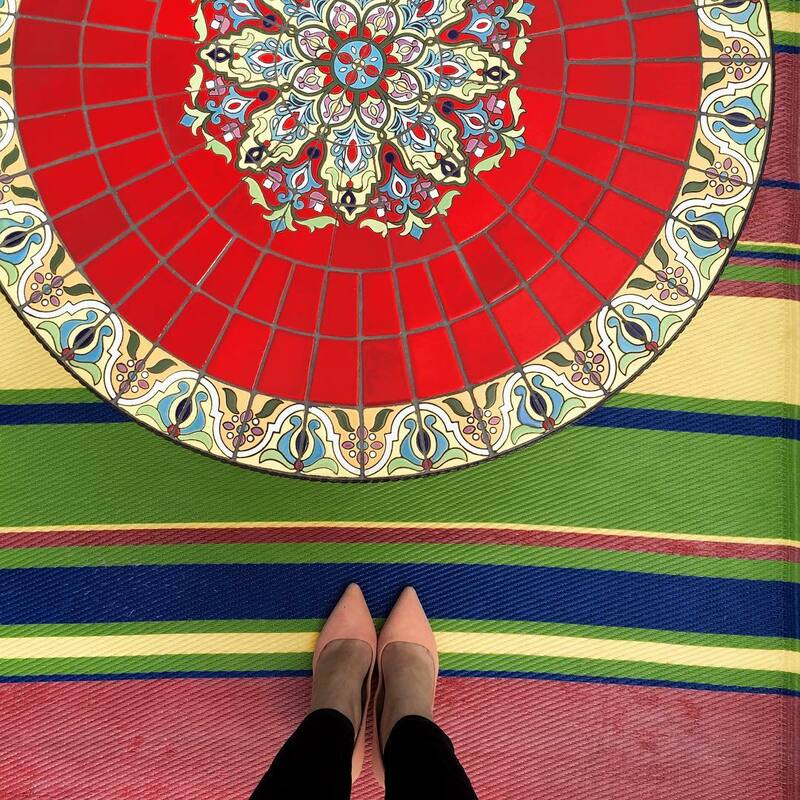 Such fun inspiration, Biana! Love that glam pumpkin from Target -- I'm heading there later this week so I need to check it out! And I'm obsessed with the gold flatware. I've been searching for a good set for over 6 months now. I love this! OMG, that glam pumpkin is EVERYTHING!!! I love all of the neutral tones with pops of orange!! The second photo with all of the light colors and light coming in is my ideal living room! 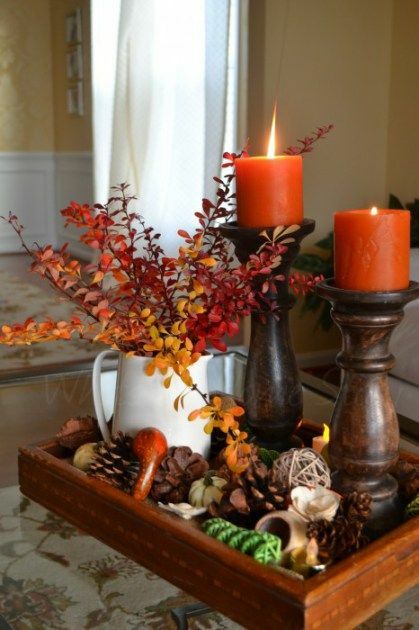 I really like the acorns mixed in with that candle! And that basket is pretty too! Such great inspiration! I love the subtlety of it all. I need to run to Target and get that pumpkin...love how it looks! That gold flatware set is to die for!! Absolutely stunning! I've been so lazy. I've had no inclination to get my fall stuff out. Maybe this weekend? Love all of these fall inspiration photos! Love all the fall decor inspo! I saw those expresso cups and towels from Target the other day and was so tempted! They are too cute!! That gold studded pumpkin is perfect too! Omg... must have that pumpkin!!! Love all of these looks. Very fall chic! I always think fresh new hand towels brighten up the kitchen! Love love love! I'm still trying to unpack so I'm resisting a ton of fall decor as it's one more thing for me to try to organize, but I haven't been able to resist a few pieces here and there! I love the new finds you got at Target!! So cute!!! I wish I could get my fireplace to look like that first picture! I just love fall and our house is actually fall colors all the time with our browns and reds in the living room so it should be really easy for me to really transform the space even more. Fall is the absolute best when it comes to decor. Those first two pictures show Fall decor at its best. Love it! I love it all! I am always redecorating! great fall vibes. love this season! This reminds me I really need to pull out my Fall decor. I have some sparkly pumpkins and random things. Love the studded pumpkin! So pretty! I just need that fireplace and living room both look so warm and cozy. Obsessed with that fire place! ahh I hope to have one in my house one day because that is just gorgeous! Your house is GOALS! wow I can't wait to own a house and decorate it as cute as yours! I'm sooo boring when it comes to fall decorating! I buy a couple white pumpkins and call it a day, haha. This makes me want to step my game up! I totally decorate for the Season's rather than holidays. I love the simplicity of some well placed pumpkins or acorns. Bringing nature inside is always nice. I LOVE that gold pumpkin!! So cute! 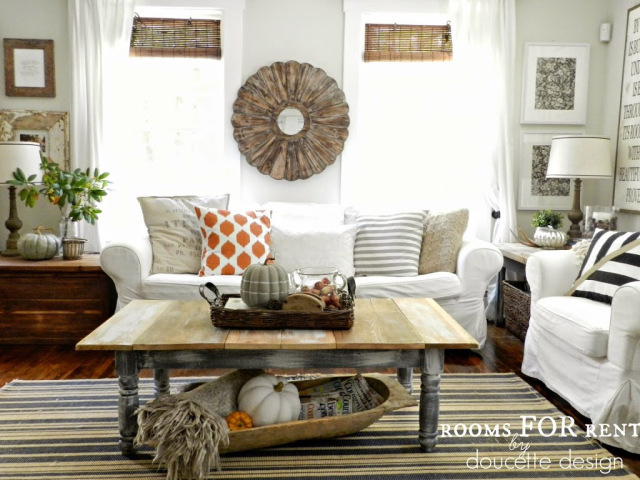 Loving you home decor for fall. 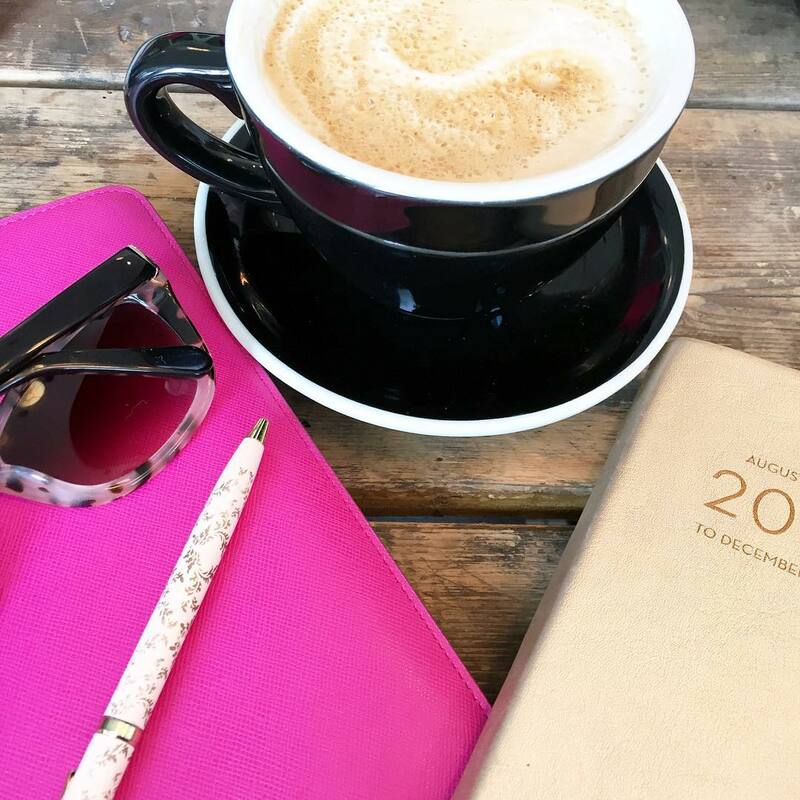 Would love for you to stop by my latest post. I love all your fall decor and inspiration! It's such a fun time of year to decorate.